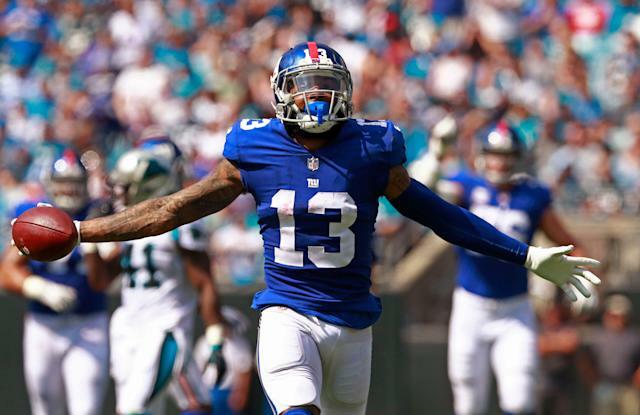 If a report out of Cleveland Browns camp is to be believed, their deal for Odell Beckham Jr. is more of a bargain that meets the eye. At least from Cleveland’s perspective. Of course there’s no reason to doubt that a source from the Browns told Zierlein about the Browns’ draft-pick valuation. But the fact that the report arrived after the Beckham deal was consummated is grounds for speculation around the information coming out of Browns camp. But, yes. If the Browns truly believe that a first-round talent is unlikely to be available with the 17th pick, then they truly got a steal in dealing for Beckham. The Browns gave up the first-round pick, the last pick in the third round and safety Jabrill Peppers for Beckham. Peppers fills a need left by the void of one of Giants general manager Dave Gettleman’s other questionable decisions, letting Pro Bowl safety Landon Collins walk in free agency to the rival Washington Redskins for nothing in return. Peppers is a starter, but has so far not lived up to the expectations that came with being a first-round pick in the 2017 draft. The pick at the back-end of the third round is essentially a long-shot lottery ticket that’s not likely to produce an NFL starter. And if the Browns don’t believe the 17th pick in the draft will produce first-round talent, then there’s not a player remotely close to Beckham’s caliber to be found with that pick. So what is Gettleman doing? Beckham is a game-changer, a transcendent talent who can be a valuable piece of a winning team that’s built correctly. Teams with the No. 1 overall pick in drafts only hope the player they choose will produce like Beckham. Even for a team that’s decided two years too late that it’s rebuilding, the haul the Giants got in return is nowhere close to compensatory in value for a player like Beckham. Especially after they ate the $20 million signing bonus awarded to him in an extension signed just last season. 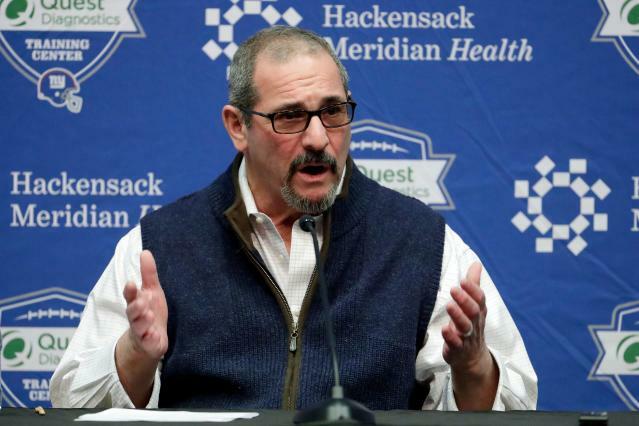 Gettleman is doing his best to explain the moves he’s making, which are contingent on an insistence that the team isn’t two years late on moving past Eli Manning. But a rational look at the Giants moves shows an arrogant general manager intent on building things in his vision, consequences be damned. It’s a similar strategy to the one that got Gettleman fired in Carolina. And if there truly isn’t a first-round talent to be found in the back end of the first-round, then the Beckham deal looks that much worse for the Giants.